The Conundrum of Multiple Blog Syndrome, or, A Third Blog? Really? That’s the question I have been asking myself for a couple of weeks now. Am I crazy for wanting to start a third blog when some months I struggle to stay on top of my main blog and my second blog (the lists one) has slowed down to one or two posts a month? Personally I don’t think so, although it probably is true that I am crazy for one reason or another anyway. I’ve been blogging now for nearly three years, and not only has the blogging world changed a lot in that time but I have changed a lot in that time, as has my blog. This particular one started off as mostly a book blog, also sometimes including music reviews and different writing tips and things (some of my poetry form posts from 2012 are still very popular, much to my own surprise). But lately it’s taken a more personal turn as I’ve come to write about my experiences immigrating to Sweden, as well as just whatever I feel like really. I like the personal feel of my blog, but some of my interests I have been wanting to write about I fear would take over my blog and potentially alienate my readers too. One interest in particular that I’ve developed this year is cooking and, more recently, baking. Perhaps because I’ve had more time and energy, I’ve made myself learn to cook really nice dinners properly. I’ve been training myself to understand how to adapt different recipes to suit my own tastes, how to make things from scratch and how fresh always tastes a million times better. I’ve started to bake from scratch and now I’m even baking my bread myself. I’m no professional chef, but I kind of like that I’m becoming a self taught cook and I feel like I’m developing my own style of cooking as a result of not being 100% competent in the kitchen just yet. So, unsurprisingly, I am pondering starting a food blog as my third blog. I am passionate about it, and one thing I have learned is that being passionate about your blog subject is one of the most vital things to a successful blog. My concerns, among many, are things like the fact that does the world really need another foodie blog by somebody who doesn’t really know what they’re doing but is pretty good at pretending he does? But then, if I thought that about a book blog I wouldn’t be a blogger at all now would I? I think I need to consider more how to make a food blog something unique and typically “me”, as well as making it interesting to others whether they are foodies or not. I also need to think of a good name, which is half the challenge in itself. But if and when I do start this new creative venture, I’ll make sure to post about it on here! To all my blogging readers, do you keep up multiple blogs? Why did you decide to create other ones? Do you find it challenging to keep all of them updated? It’s hard to believe this, but tomorrow my blog turns two years old! It was on the 2nd of January, 2012 I started this blog, and little did I know where my blog would lead me (for those who missed the posts earlier last year, I revealed that the girl who I’m moving from Australia to Sweden for is someone I met within those first few weeks of blogging). 2013 was a crazy year for me, and I think it showed on my blog as my output generally slowed down across the year. 2014 looks even crazier – it’s two weeks tomorrow until I fly out of Australia and begin my new life in Sweden. So for the next two weeks I’ll run around in a mad panic and then when I get there I have to, well, start everything basically. Get a job, learn the language, continue to be awesome – it’s going to be a challenge, to be honest. Move to Sweden. (This is kind of a given, really). Get a job in Sweden. (Also fairly necessary). Learn Swedish. (I am particularly excited about this one). Enjoy the snow, and other big changes to my lifestyle. Get healthy. No, I mean it this time. I’m not upping and moving my whole life and then letting my health slip further down the drain – this time I’m taking back control. Just have to resist the pick and mix sections of the Swedish supermarkets (apparently they’re the biggest importer of those lollies in the world). Reach 400 blog posts on this blog. This is my 293rd I think, so that comes out at exactly 9 posts a month, or a little over 2 posts a week. I can handle that. Try and write creatively more often, and write what I am in the mood to write, rather than something I was in the mood to write several months prior. This issue has made writing challenging these last couple of years. Read more books. I barely read any last year, which was so disappointing. I’m thinking of aiming for 25 – just one a fortnight. I can do that, surely. The most important one is last: spend time with my girl! It’s been 2 long years of barely seeing each other, there’s a lot of time to make up for now! I think for once I will achieve all my resolutions, perhaps because I’m being reasonable for a change. My blog topics will shift a little this year – I will still post about books and music and other random things, but I’m going to post a lot more about Sweden and everywhere else I travel to as well. I want to document some of my experiences moving to a new country, and I am sure I will never run out of fascinating things to tell you all about, so I’m looking forward to that quite a lot. I’ll also update my about me page again after I’ve settled down in Sweden. In the mean time, I hope you all enjoyed the end of 2013 and have a great 2014 ahead of you! Let’s make the most of it! Okay, first of all the awards. Kerilady from My Thought Exactly…! 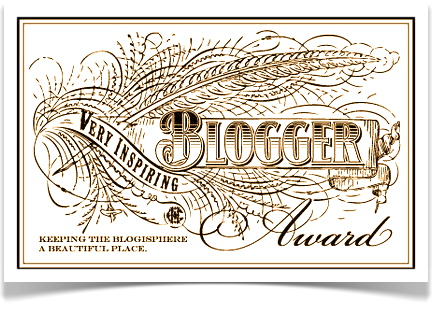 nominated me for a Very Inspiring Blogger Award quite a few months back. Then about a month ago I was nominated for it again by A Girl Who Reads from the blog Find A Girl Who Reads. Lastly, I was nominated by Jill London on her self-named blog for, well, one of a selection of awards she was nominated for all at once. Have you looked at their blogs? You have. Good stuff. This is why I like you. Okay, now on to the second part of this post that I hinted at in my title. As some of you might know, my life has become ludicrously busy in recent months, and the rest of the year is destined to become even crazier as I build up to some big changes that I can’t quite discuss yet because it’s too complicated but I promise you all I will one day write a blog post about it and you’ll all be like “ohhh now I get it.” But until then, spare time is something I find when I’m supposed to be sleeping, sleep is a distant dream at the bottom of my coffee cup, and I have more pressure being put on me than Queen and David Bowie would have at a concert where they forgot the lyrics to that song. As a result, finding time to blog at all has proven increasingly difficult. I’m managing to stick to an average of about three posts a week, although some weeks I only find time for two, and this takes it out of me. I miss the days where I could blog four or five times a week with ease, but if I forced myself to do that I simply wouldn’t enjoy it any more, and to me that seems kind of pointless. What I’ve realised is that when it comes to awards, I’m just not getting around to posting about them any more. I have a weekly music post, a weekly book/writing post, and then the third post tends to be whatever I can think of, and that’s it really. Not only that, but as a fellow blogger pointed out recently, sometimes these awards posts can be quite stressful, especially when you’ve already won a number of these awards and you’re starting to run out of things you can say about yourself or random questions you can ask people. It’s not that I don’t appreciate them – I really do – but I’m starting to see now why some people accept them but don’t post about them, and I’m about to become one of those people I’m afraid. So I will still accept awards if you wish to send them my way, as I always, always appreciate the thought (though I understand as well if you’d rather send them to people who will continue with the posts). When I get around to it in the near future, I’m going to create a page for my awards with a tab up the top, so it has its own special corner of my blog, and there I will link to my old awards posts, and try and include links to everybody who has nominated me for each award (to the best of my abilities – with several thousand comments, it may be hard to pick up every single person who nominated me). Wow, this post became longer than I thought. I must be tired (I ramble when I’m tired). So I’ll end it now. Thank you to everybody who has ever nominated me for an award. And thank you to all my readers, past and present, who continue to amaze me with your kindness, support and encouragement. You all rock! So, I’m a terrible person. Why, you ask? 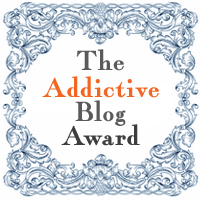 Because I was nominated for The Addictive Blog Award back in September, but I’m only posting about it now. I was nominated right before I took a break from blogging to go travelling, and when I returned I found myself so busy and distracted that, well, my memory wasn’t all that intact. But I am rectifying this error of my ways right now, beginning with thanking Andrea Kelly who awarded me this in the first place so many moons ago. Andrea is a writer and wonderful blogger, and if you haven’t seen her blog The Hand-Written Life you are missing out, so go and check it out right this instant! Go on, I’ll wait here. I blog because once I started, I couldn’t stop. Getting started was a little hard though. I’ve always been a writer, since I was a very young boy, so over the years my desire to blog grew, but I didn’t know what to write and was scared I’d just be saying stuff that had already been said. However once I did start, I very quickly realised I just wanted to write about my passions, in particular books and music, and on top of this I met a lot of wonderful supportive readers and fellow bloggers who inspired me, and still do inspire me, to keep on blogging. So now I blog because I know people want to read what I have to say, and because I like reading what these same people have to say themselves. And, as with all writing, I blog because I have something to say, most of the time. But mostly I just blog because it’s awfully good fun. Okay now as I said I am only going to nominate five other bloggers, the reason being that a lot of bloggers I am addicted to I have been addicted to for a long time and nominated for gazillions of awards and so I thought I’d try to focus on some of the blogs I have more recently followed. So four out of the five blogs here I have only followed in recent weeks, and the other one I am simply shocked I didn’t nominate for an award months ago! All five blogs are great, so check them out. And we’re done. Better late than never, hey? So my blog is a year old. Or a year and a day. Actually a year and a day and a bit. But you get the point. 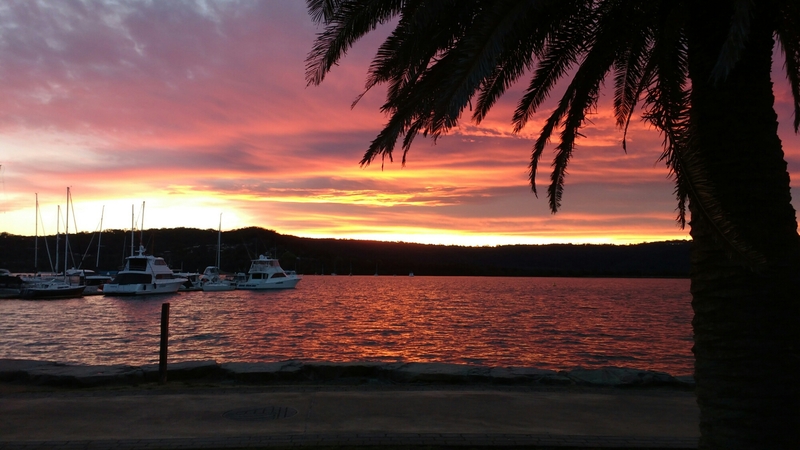 When I started this blog at the beginning of 2012, I had no idea where it was going to go, or what it was going to be about, or what changes it was going to introduce into my life. A year later, I’ve written over 180 posts, covering my tastes in books and music, my thoughts on certain aspects of writing, my adventures in writing challenges, some of my travelling, some of my humour, a few brain teasers here and there, and who knows what else (well, I should, but I forget). I’ve met hundreds of other bloggers in the process, all of whom have amazed and inspired me in different ways, some of them in ways that have quite literally changed my life (they know who they are, when they read this). If you’re any one of these people I’m referring to, if I’ve dropped by your blog in the past year or you’ve taken the time out of your busy schedules to swing by my page and say hello, thank you so much – you have no idea how much this means to me. It is you people who keep me going, and make me want to stay and keep blogging even when life becomes inevitably hectic, as it has done in recent months. 2013 will be a big year for me, and I’m hoping it’ll be a big year for my blog, too. I will continue with the book reviews, as normal, and I plan on reading more regularly (rather than in the small explosions of reading that occurred last year), so the reviews should trickle in more consistently. I plan on writing a weekly “what I’m listening to” music post, but it will be simpler, shorter and sweeter than the few attempts at this I made last year. I’ll also jump between various other types of posts, such as writing posts, history posts, perhaps some more brain teasers and similar games, and whatever else takes my fancy. I plan on writing a lot more short stories and poetry this year, so some of my writing posts will revolve around these adventures, and I may even put snippets of them up for others to read (this is a definite maybe at this stage, though). Thank you again for supporting me these last twelve months, and I look forward to another year in this great blogging community with you all!